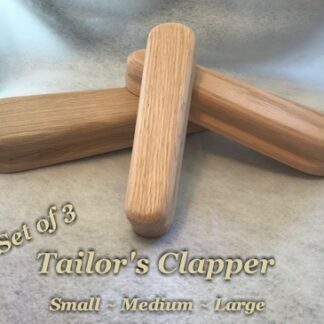 Set of all three – Small – Medium & Large – The Tailors Clapper is a must for sewing and ironing. 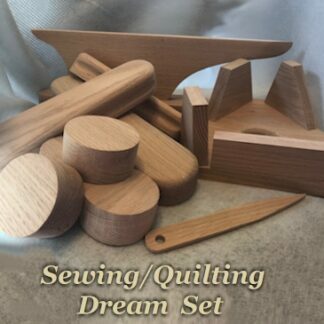 It is used to press seams without burning. I discovered the clapper when I was taking a sewing class on making jeans and wondered how I ever sewed without it. Now, I use it on everything I make. 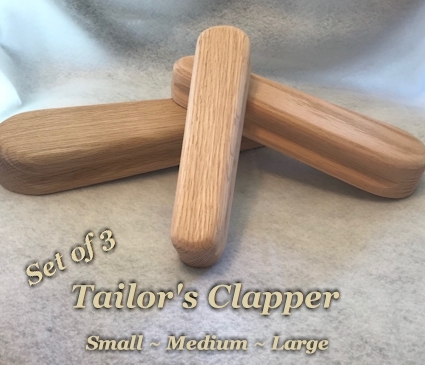 Larger Clapper weights about 1.2 lbs and measures 11 ½” inches long, 3” wide tapered down to 2 1/2 inches and is 1 1/2” thick. 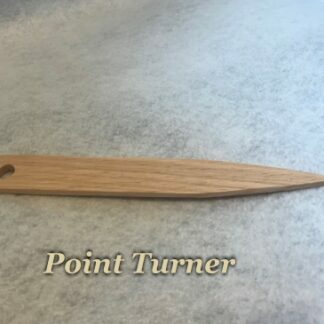 Medium Clapper weighs 12oz, & measure 9 1/2″ long, 2 1/2″ wide tapering down to 2″. 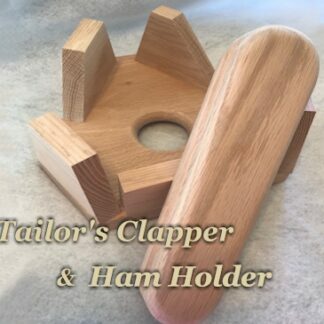 Smaller clapper weighs 6 oz, and measure 8″ long 2″ wide tapered down to 1 1/2″ and is 1 1/2″ thick.